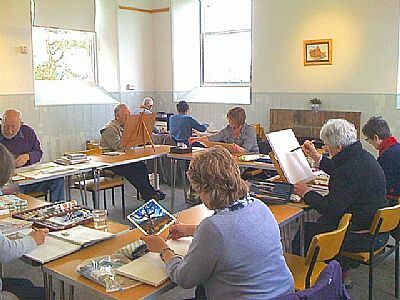 The Art Group takes place on Wednesdays, September to April, 10.00am -12.00 in the Struie room. There is no membership fee but for a modest weekly sum anyone is welcome to come along to this friendly and supportive self-help group. We have occasional social/artistic outings.